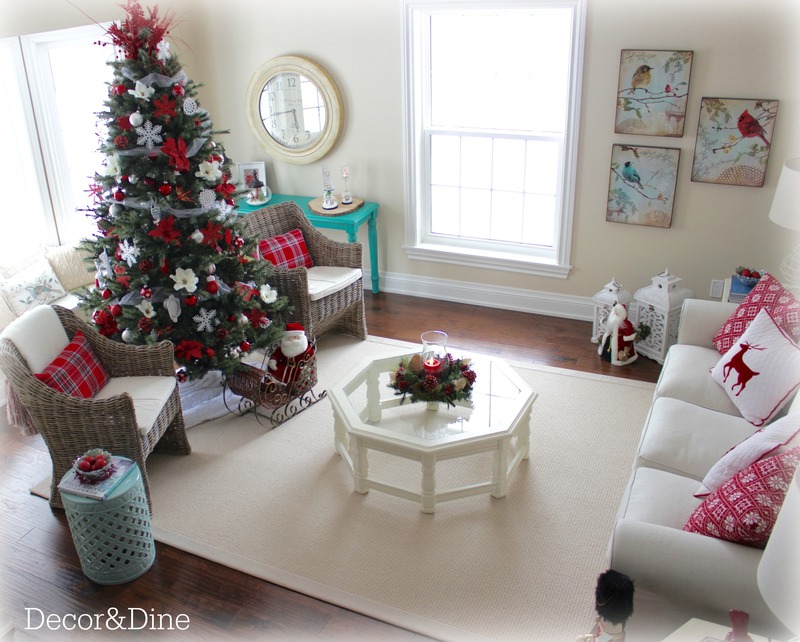 I have kept the living room decorated in the traditional red and white. 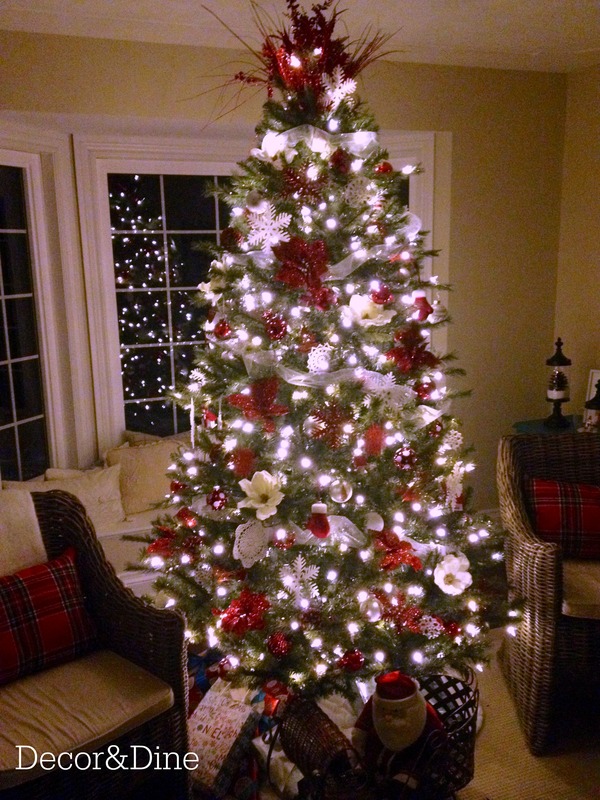 This year I added more giant snowflakes to the tree. 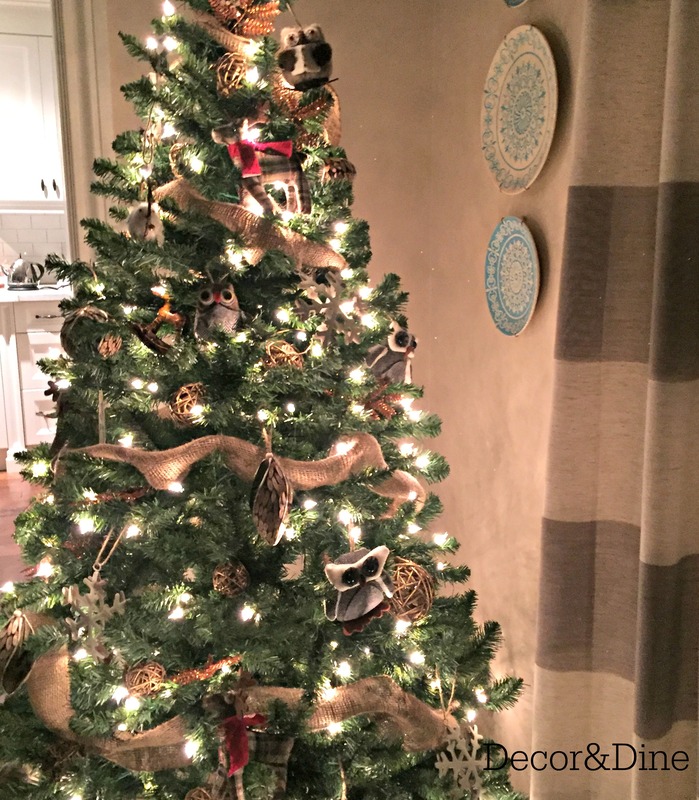 The snowflakes along with the poinsettia picks add substance to the tree (don’t tell anyone but they are from the Dollar Store). 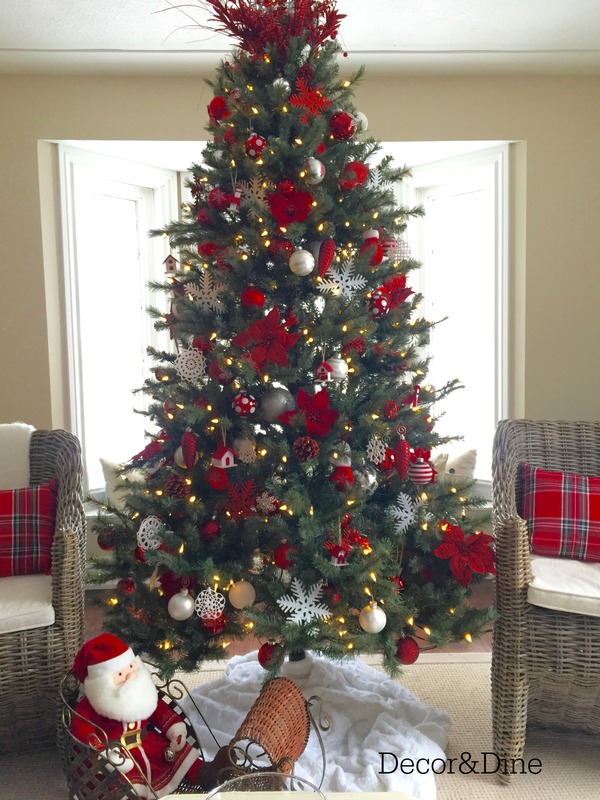 There are no expensive ornaments on this tree but it’s my special tree…the red glittery pinecones are a DIY project (just brush pinecones with glue and dip in red glitter). The white crochet snowflakes were made by my Mom and the tiny birdhouses were painted by my daughter. 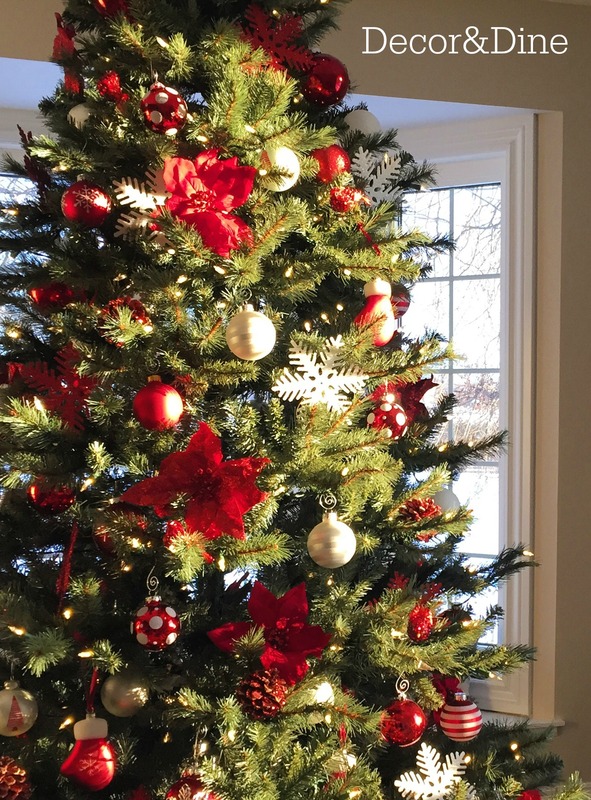 I love how the sun streams in during the day and makes the tree sparkle. 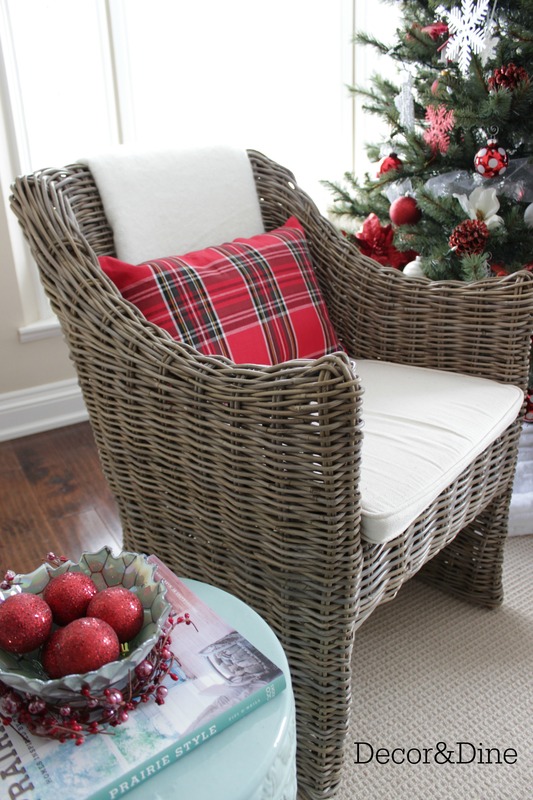 The red plaid pillows are an easy inexpensive DIY project and they are perfect for these chairs. 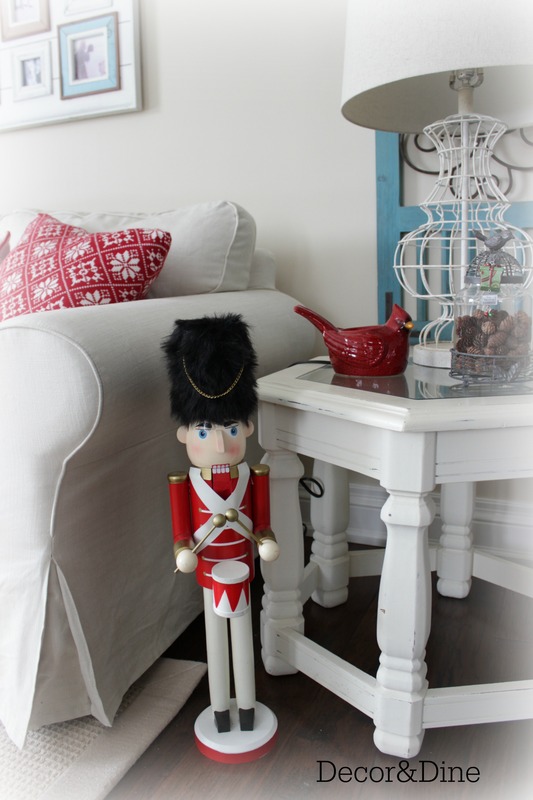 I added new snowflake pillows to the sofa but the large Nutcracker had to make his appearance. 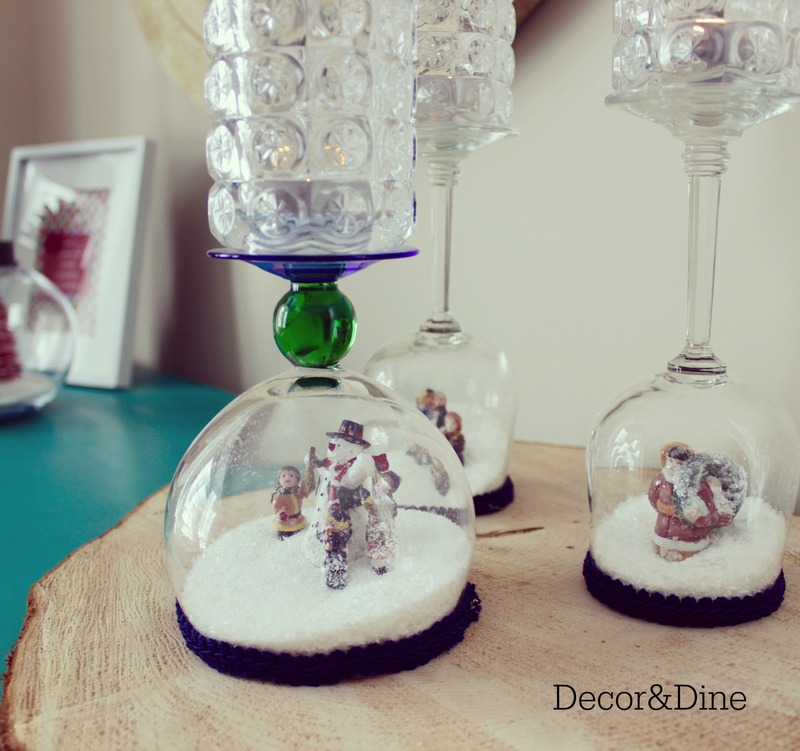 Of course I had to bring out my DIY Wine Glass Snowglobes…check HERE for instructions! 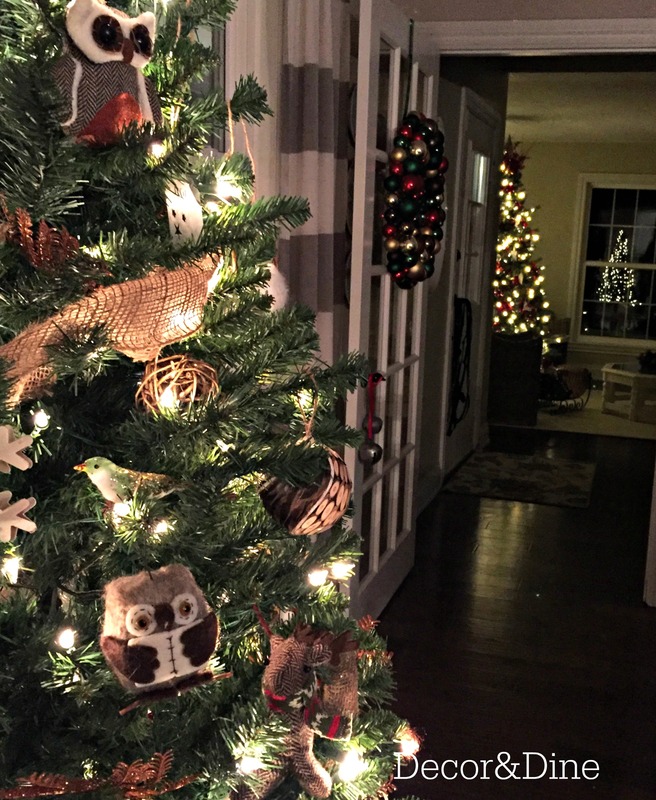 This year the Woodland Themed Christmas Tree left the family room and made an appearance in the dining room. Perfect place for Lilli to nap. 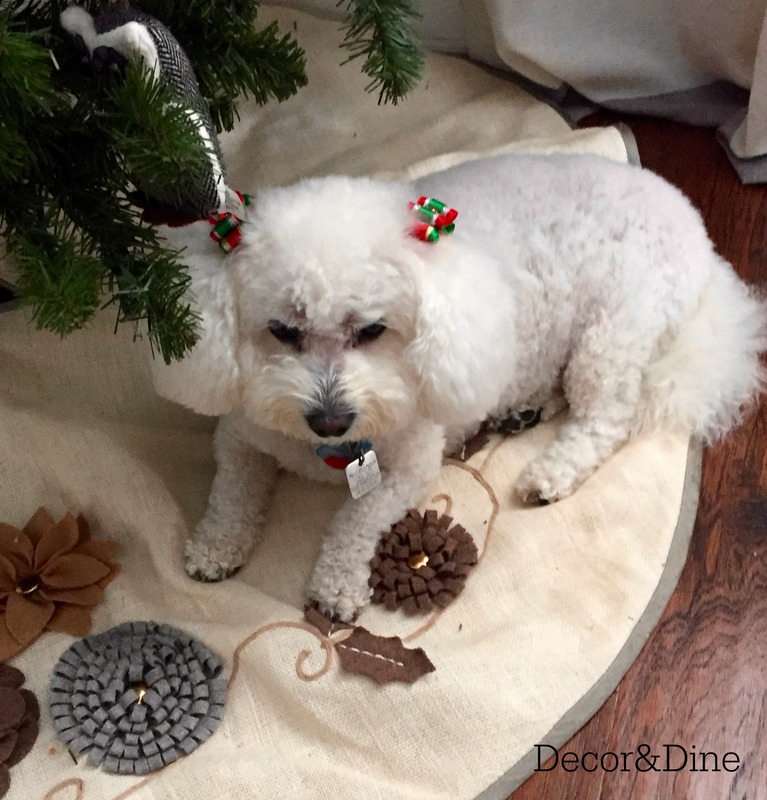 Every year she finds her place under one of the Christmas trees. 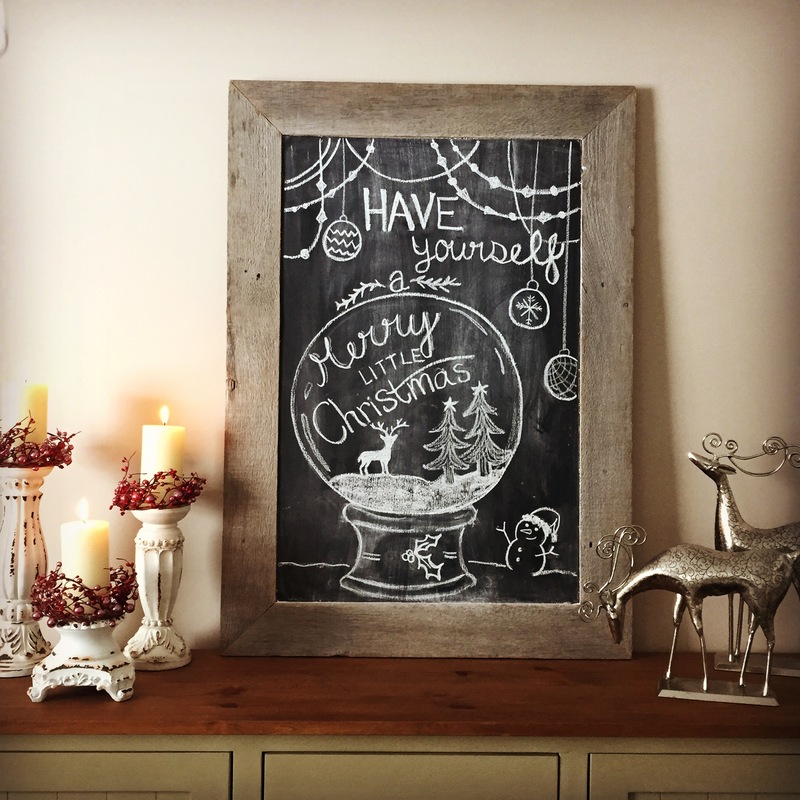 and of course my Chalkboard always gets a new message thanks to my daughter’s creativity. 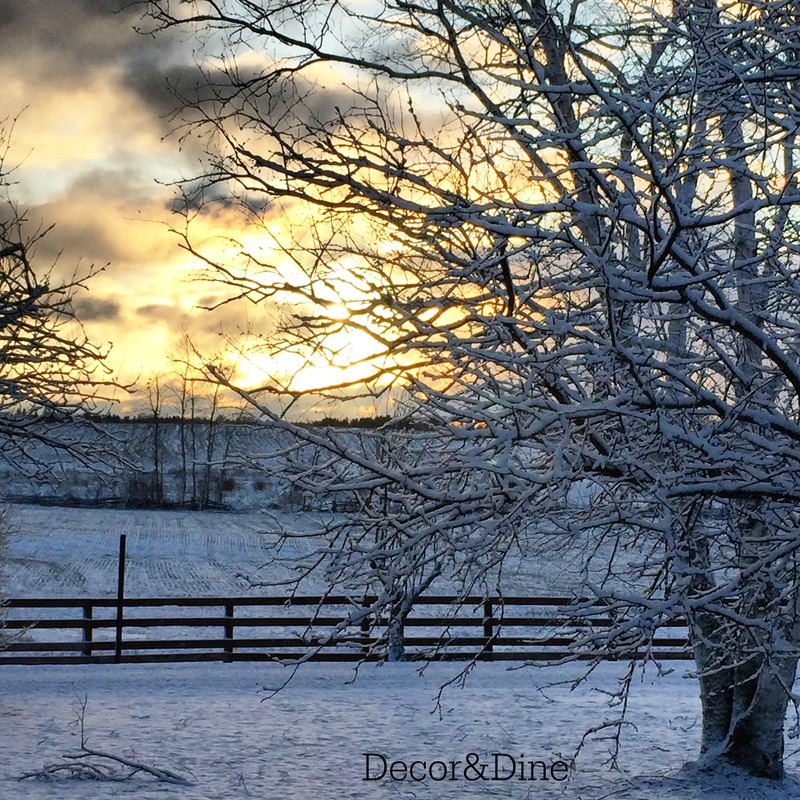 This view and a dusting of snow makes Christmas at the farm even more special. 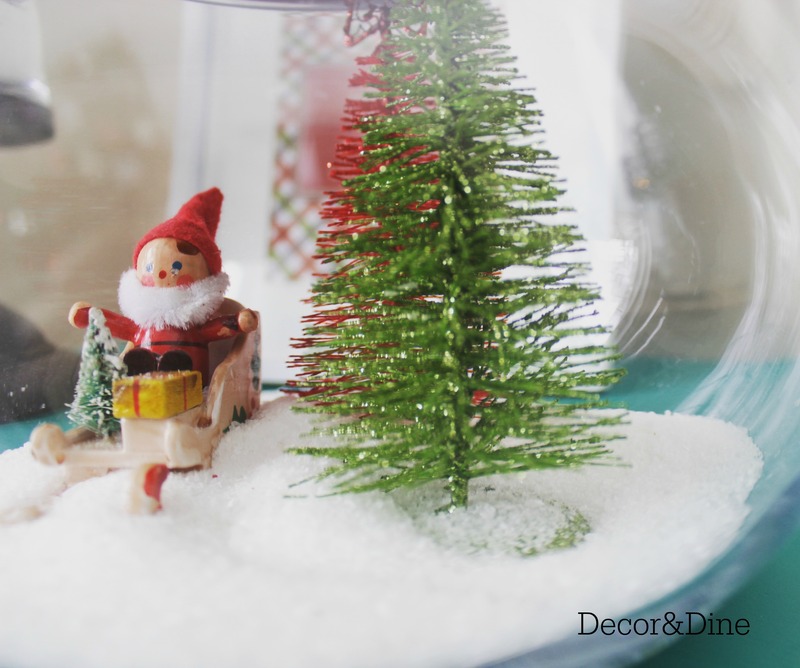 Lots more Christmas posts to come!! Thank you so much Fabby!! 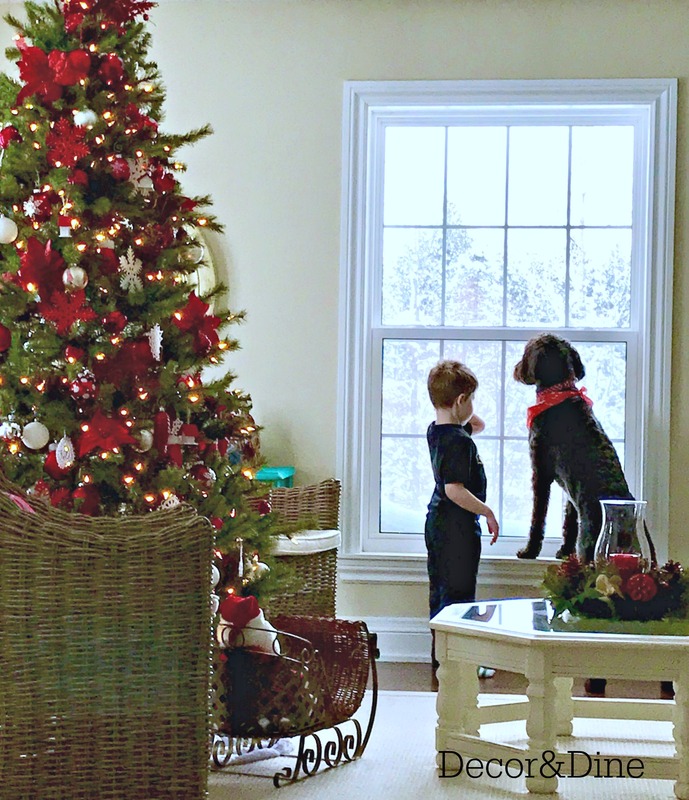 Merry Christmas to you! 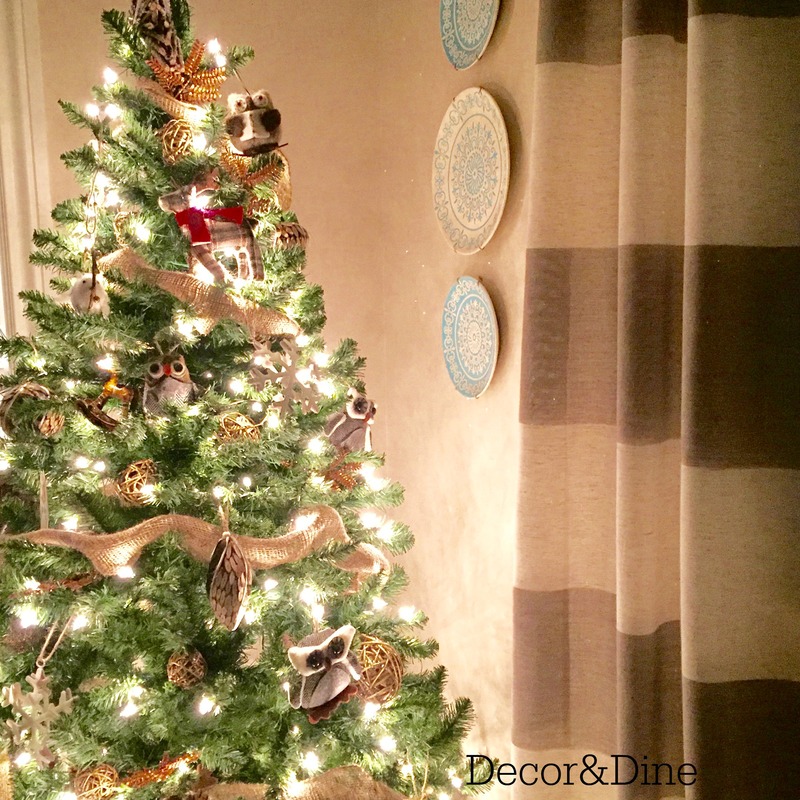 Your Christmas décor is just wonderful! 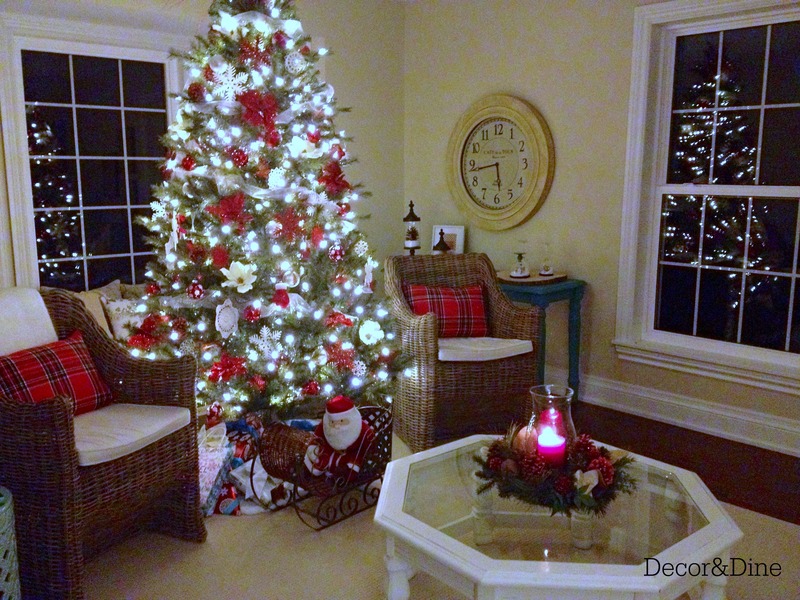 I love traditional Christmas colors, the red, green and white and maybe touches of gold or silver. 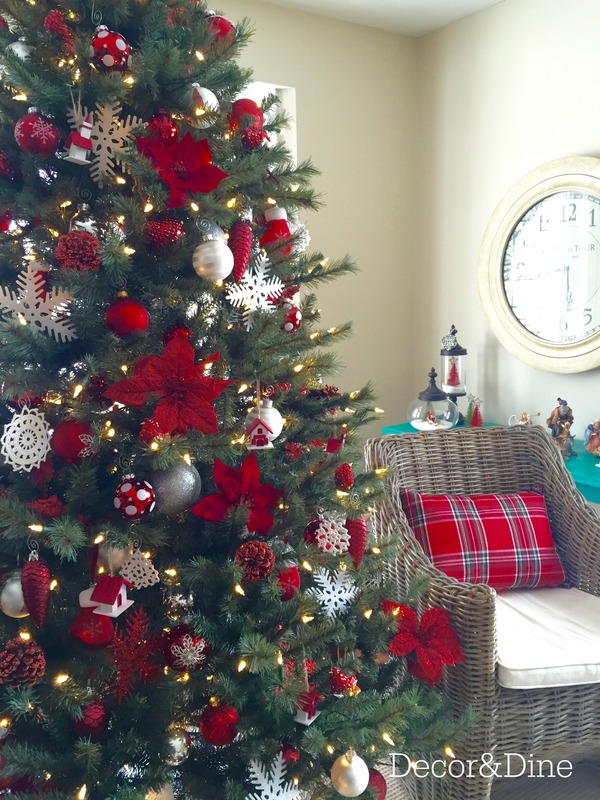 You didn’t over do it and yet the Holiday spirit is in every room of your lovely house.